David Owen, 1992. Photo by Jim Paisley. I am contributing editor at Golf Digest and a staff writer for The New Yorker. I first played golf when I was twelve and thirteen, but then I stopped. For one thing, I was terrible. For another, it was 1969. Richard Nixon played golf, and Jerry Garcia didn’t, and the war in Vietnam seemed not entirely un-golf-related, and so forth. At the age of thirty-six, though, I took it up again. My friend Martha invited me to play one day, and on a whim I went. I shot an astronomical score, but something clicked in my head. 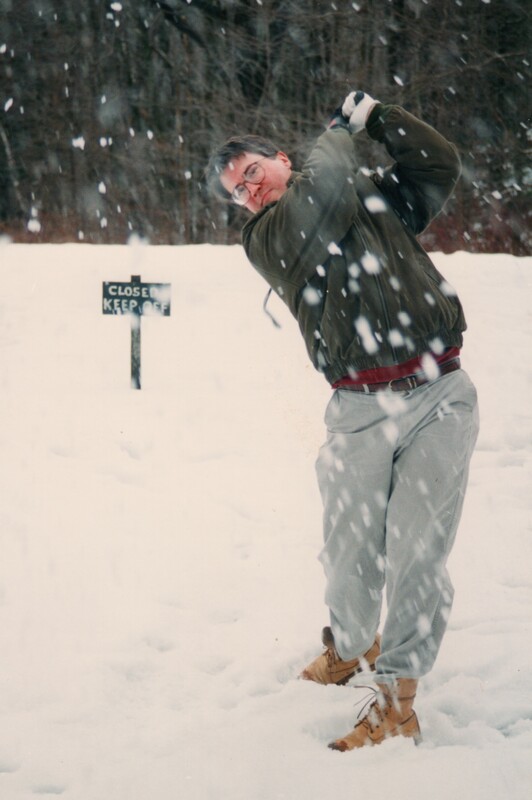 The next day, I joined the little nine-hole golf club in the small Connecticut town where I live. 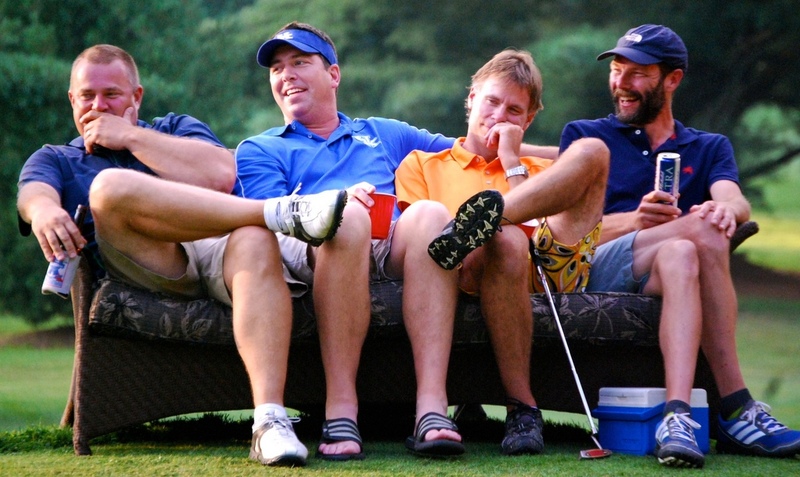 Men’s member-guest, 2007. Photo by Carol Underwood. Although I hate to admit it, I measure my life as a mature person from that moment. Most of my best friends now are people I play golf with. Most of what I do for a living is connected in some way to golf. Most of the gifts I receive are golf-related. 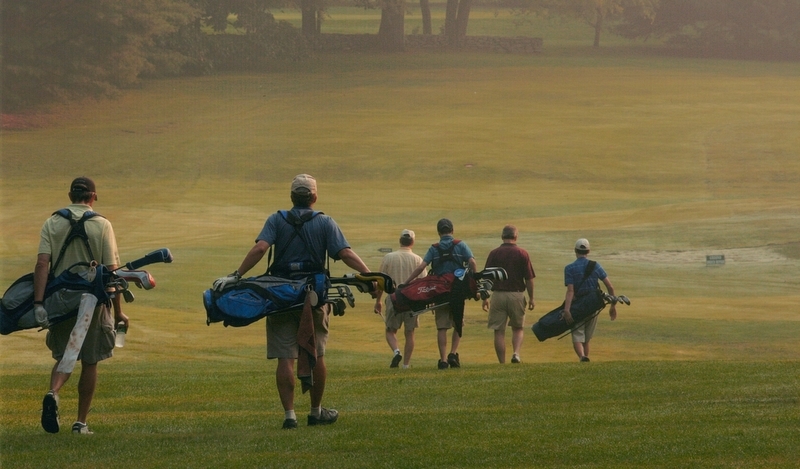 Most of my clothes are golf clothes, most of my trips are golf trips, most of my dreams are golf dreams. Almost all my remaining ambitions involve my swing. Rob G., Chick, Fritz, Peter P., Men’s Member-Guest 2013. Photo by Vi Owens. Through one reporting assignment or another, I’ve visited courses all over the United States and in half a dozen countries. But I play most of my golf with friends on a short, tight, century-plus-old nine-hole course a mile from my house, in northwestern Connecticut—coincidentally, the greatest golf club in the world. 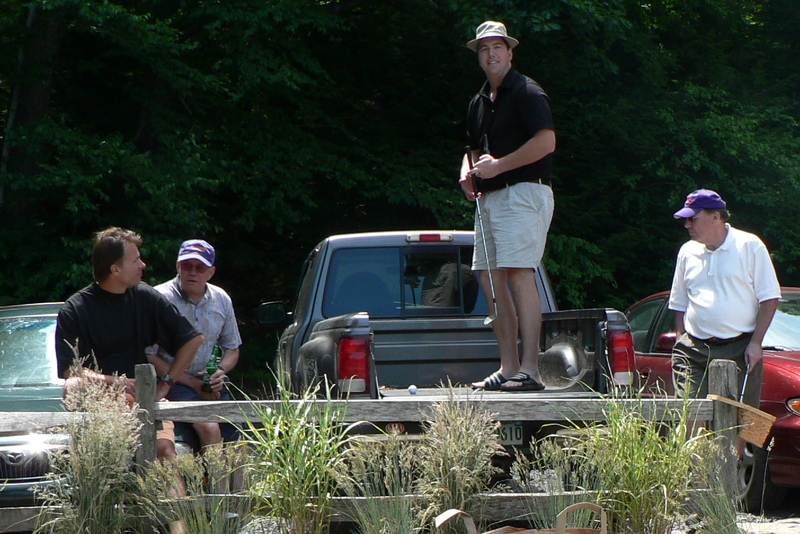 Sunday Morning Group playoff, 2007: Lob shot over the fence to the practice green from the bed of Nick’s pickup truck. From left: Fritz, Nick, Chic, Brad.